Rather than repeat purchase or stick to what you know, now’s a good time to be daring and order something new when it comes to joinery. Right now, there’s a few key trends that are taking the joinery world by storm. 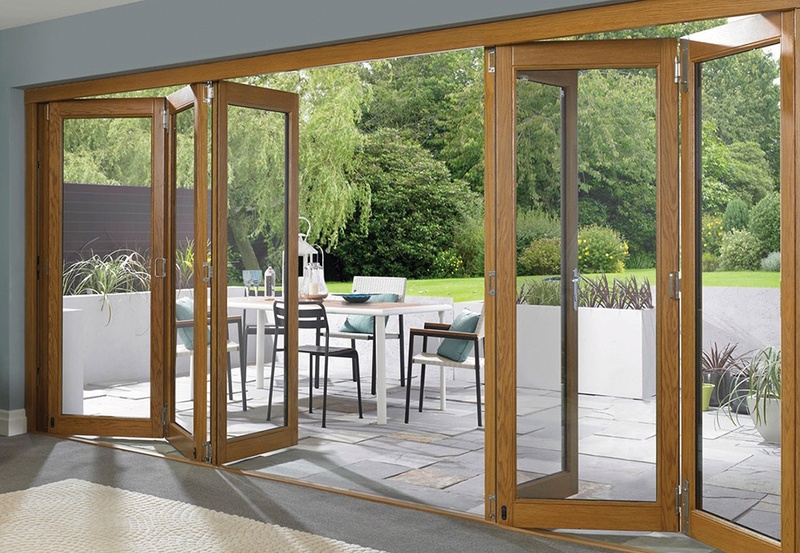 Our Joinery Products Manager, Dominic Rice, knows what’s upcoming in the world of doors and floors for 2019. “Joinery is a category that likes to push boundaries. It’s not boring. We’re seeing stylish flooring and colourful internal doors. “Colourful front doors will be popular again this year. We sold many grey and navy-blue doors in 2018 and even some deep browns but now it’s about achieving vibrant kerb appeal. “I had a customer visit me last week to order a duck-egg blue front door. I’ve also sold other colours such as red and dark green. I’m just waiting for an eccentric orange or lime green next! “Decorative flooring is on the rise too. We’re getting many requests for Woodpecker’s Parquet flooring which is stylish and elegant. It combines engineered wood which looks fresh and authentic with quirky patterns and lines to create a stand-out effect. "Smart locks on doors is another big trend. It’s huge in the overseas market right now and it’s slowly making its way over to the UK. “I went to an exhibition in Europe recently and learnt about lots of new technology including doors you can open with your fingerprint and unlock from your mobile phone. It’s amazing how fast technology is advancing. “Bringing the inside out was a massive trend for 2018 and it’s here to stay. I work with many housebuilders who regularly include kitchen-dining rooms with bi-fold doors in their design plans. Looking to update your joinery? If you’ve spotted a trend that could work for your project, then get in touch with Joinery Products Manager, Dominic Rice today by filling out this form. Alternatively visit the team by putting SO14 5AG into your Sat Nav or pick up the phone and call 023 8038 5319.